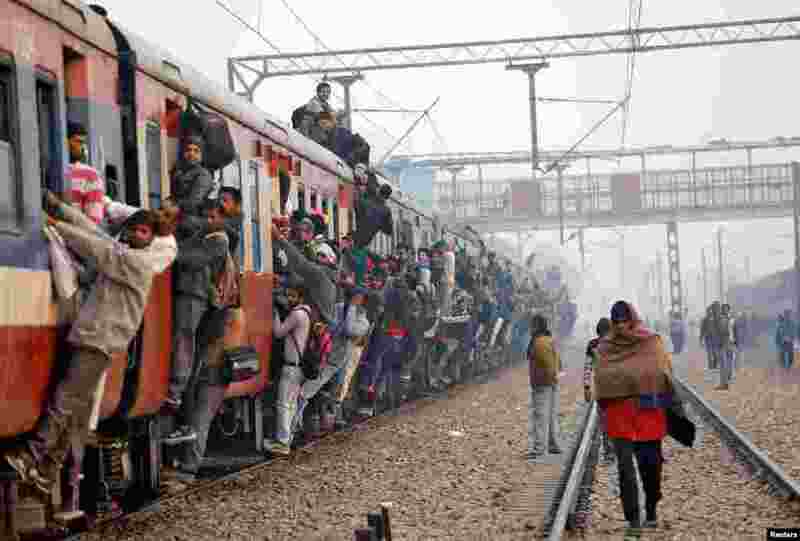 ١ Commuters travel in an overcrowded train near a railway station in Ghaziabad, on the outskirts of New Delhi, India, Feb. 1, 2019. 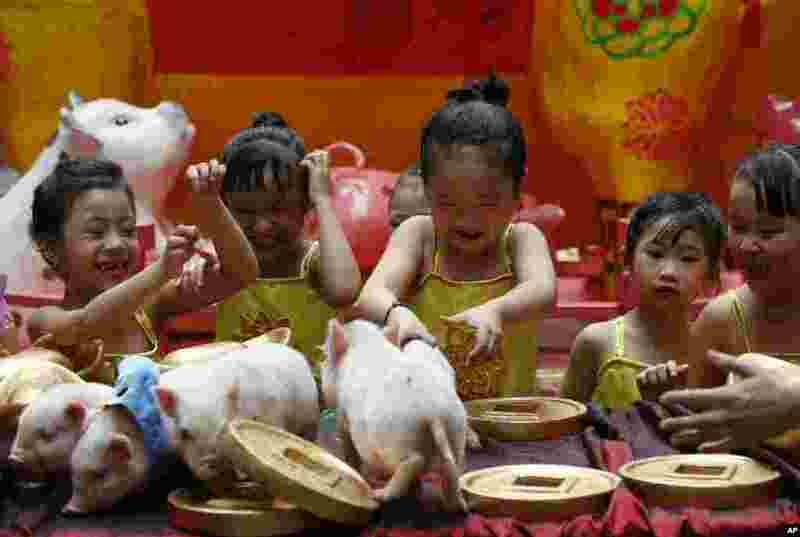 ٢ Girls play with live Teacup pigs, a rare pet in the country, at the start of celebrations leading to the Lunar New Year at Manila's Lucky Chinatown Plaza in Manila, Philippines, Feb. 1, 2019. 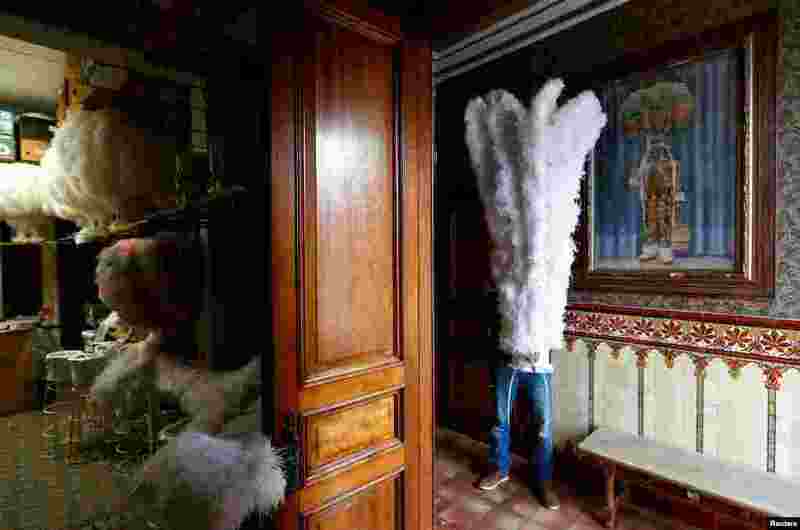 ٣ An artisan poses with an ostrich feather-adorned hat worn by the "Gilles of Binche" performers during the Binche carnival, a UNESCO World Heritage event, in a shop in Binche, Belgium, Feb. 1, 2019. 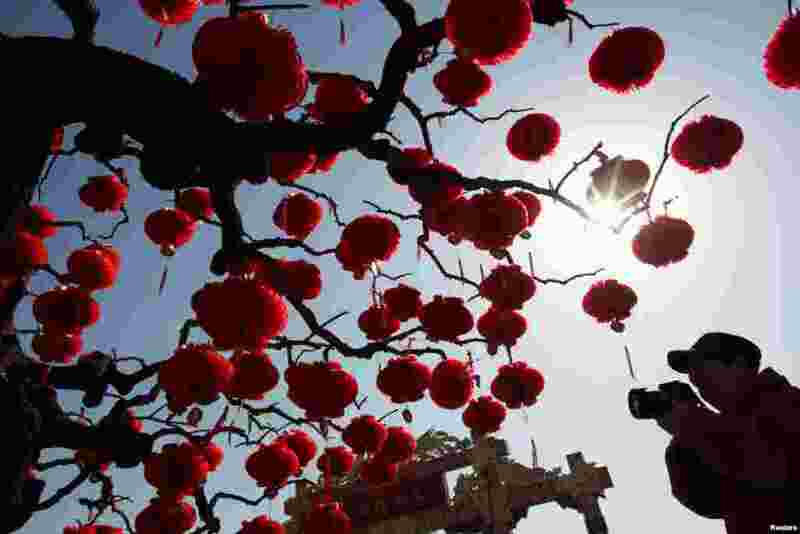 ٤ A man takes pictures of a tree decorated with red lanterns ahead of Lunar New Year celebrations in Ditan Park in Beijing, China, Feb. 1, 2019.